Signage, exhibits, timeline displays, recognition displays, wayfinding, graphics in Chicagoland. 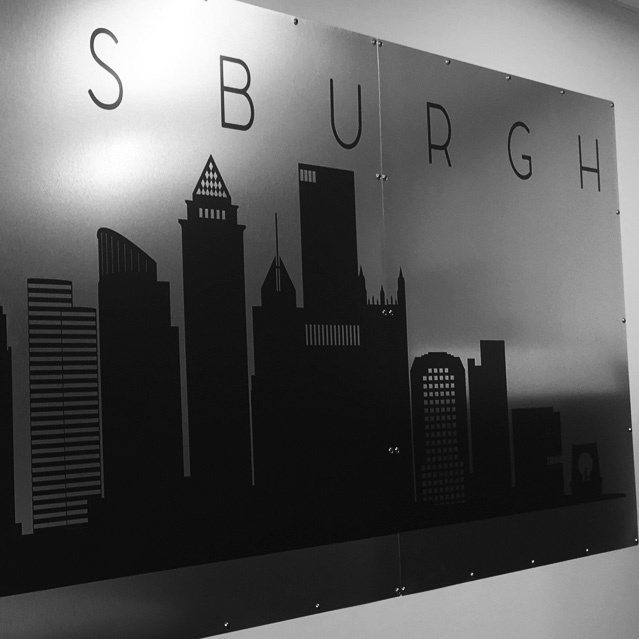 Elevate the look in your area with dimensional logos and letters that are built to stand the test of time. Choose laser cut acrylic or metal in a wide spectrum of colors and finishes. Mission and Vision Statements provide the summary and values of your organization and can be displayed in a truly unique way. Culture and Team Walls celebrate the uniqueness and diversity in your office. You want your space to make an impact, stand out from the rest and draw people in. Our large scale graphics and custom displays will do just that. The possibilities are endless when it comes to office transformation. Whether you're looking for simple privacy options for office glass or branding an entire office space, graphic transformation is our game. Unique, artisan displays created to celebrate or simply recognize. We take pride in our ability to work with our clients to bring forth beautiful displays that are both functional and informative. We take dry erase, magnetic and cork boards, shake them up, and produce beautiful displays that are both functional and aesthetically pleasing. Signs, Corporate Lobbies, Tradeshows, Exhibits, Timelines, Donor Recognition. Signs, industrial signs, warehouse signs, signage, wayfinding, custom signs.